Hello, new year. Fresh year. New, improved year. There's something about starting a new calendar year, another revolution of the sun, that makes us all want to change ourselves and our lives, slow down, live healthier, be kinder. In the spirit of this, my resolution is...to keep things simple. Not head-in-the-sand simple, but I want to de-clutter my head so I'm more aware of what I'm doing, moment to moment, and can live more sustainably – in all senses of the word. 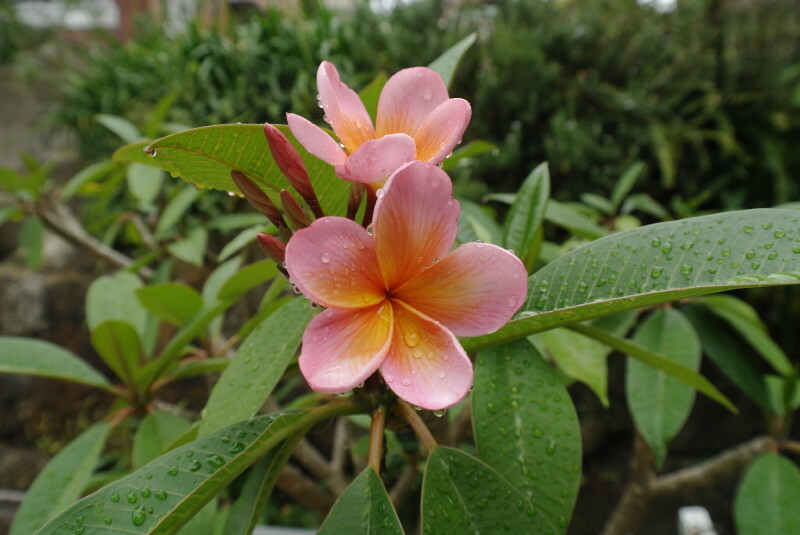 I want to notice and appreciate things around me: frangipani flowers on the footpath as I'm walking back from the beach, the evening call of a currawong, weathered timber window frames, the soft rattle of my bamboo wind chimes (one of my Christmas presents). Have you heard of Indra’s net? It’s a Buddhist symbol used to show our interrelatedness with everything, a net that has a jewel wherever any of its threads meet, and each of these jewels reflects every other jewel. 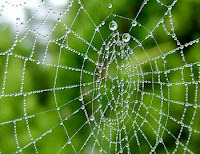 Or, if you prefer your metaphors more natural: Alan Watts said our interconnectedness is like the dew drops on a multi-dimensional spider's web, each one reflecting every other one. I like that. It's a reminder that we're not the centre of the universe, and we're all in this together. The gist of all this is that I'd like to simplify my life, in the service of greater awareness. Then living with "no impact" comes naturally. That's the theory, anyway. I’ve also come full circle in terms of how I see travel – having felt guilty for travelling so much, for my work as a travel writer, I’ve realised how useful travel can be, when it's done responsibly. When we take a non-harming ethic wherever we go, when we support sustainable practices, when our travel dollars give an economic value to things that might otherwise be exploited (e.g. forests). But I'm getting ahead of myself. It's a new year, let's let it unfold. Peace and love to you all. Got any resolutions you'd like to share?